A child's bedroom is more than just a place to sleep at night. It is a space for them to both work and play. Make both of these more possible with this student desk. Whether they are spending time on their computer playing games and chatting with friends, or using this desk as a quiet space to work on their homework, they'll be glad to have such a functional and stylish piece in their room. The double barn doors on the top of the hutch offer a unique way to access the two top shelves, while the two drawers are an ideal space to store extra paper or school supplies. 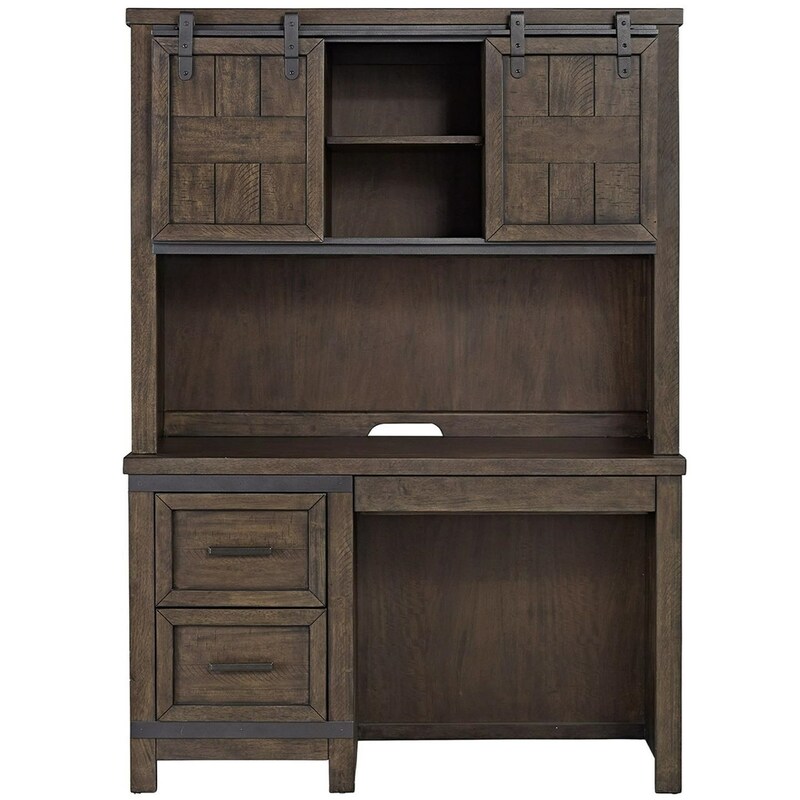 The Thornwood Hills Rustic Student Desk with Double Barn Door Hutch by Liberty Furniture at Prime Brothers Furniture in the Bay City, Saginaw, Midland, Michigan area. Product availability may vary. Contact us for the most current availability on this product. 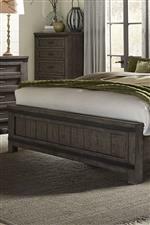 The Thornwood Hills collection is a great option if you are looking for furniture in the Bay City, Saginaw, Midland, Michigan area. 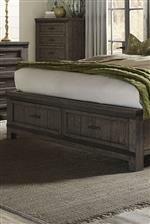 Browse other items in the Thornwood Hills collection from Prime Brothers Furniture in the Bay City, Saginaw, Midland, Michigan area.